West Ham United manager Manuel Pellegrini recalled right back Ryan Fredericks to the starting line up against Liverpool on Monday night, and he would be wise to do so again against Crystal Palace on Saturday. The 26-year-old was seemingly selected against the Reds to cope with the speed of Sadio Mane on the left hand side of the Liverpool attack, and on the whole he coped pretty well with his task. 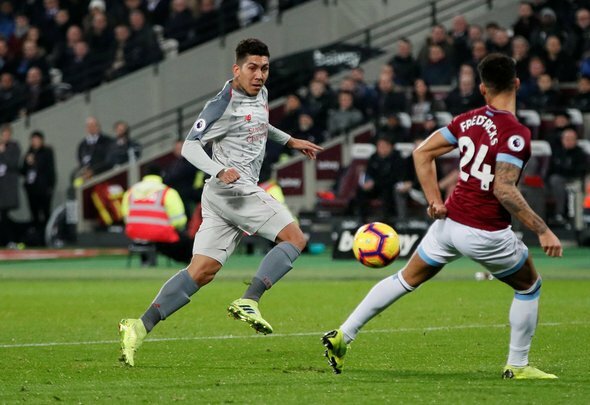 The Senegal star scored, of course, but other than that controversial strike Jurgen Klopp’s team didn’t create a whole lot against a battling Hammers team. Fredericks was part of that, and he stuck to his defensive duties throughout the game. He had a few dodgy moments, being left for dead by Naby Keita stands out, but it was a largely positive return to the starting line up for the former Fulham man. Pellegrini can help give his team a big push towards three points against Palace by selecting Fredericks once again. The Eagles, as we all know, possess two of the most rapid attackers in the Premier League in Andros Townsend and Wilfried Zaha – perhaps even a third after Michy Batshuayi’s signing. To ask a veteran player like Pablo Zabaleta to cope with that kind of threat would be a big ask. Fredericks might not always be as diligent defensively as the Argentinian, but he has the athleticism to bail himself out a lot of the time. That quality will likely be key against Roy Hodgson’s team. It’s going to be difficult for West Ham to cope with Zaha and co. no matter what, but matching Palace pace for pace is one way of limiting the threat they pose. Starting Fredericks won’t guarantee victory for the Hammers, but it would be a gigantic step in the right direction. The defender was missed greatly over Christmas, and now is the time for him to really make his mark at the club.